Innovative new company Blownaway recently launched in Dallas to bring beauty to your door. Now you can get a blowout in the comfort of your own home and help four charities. 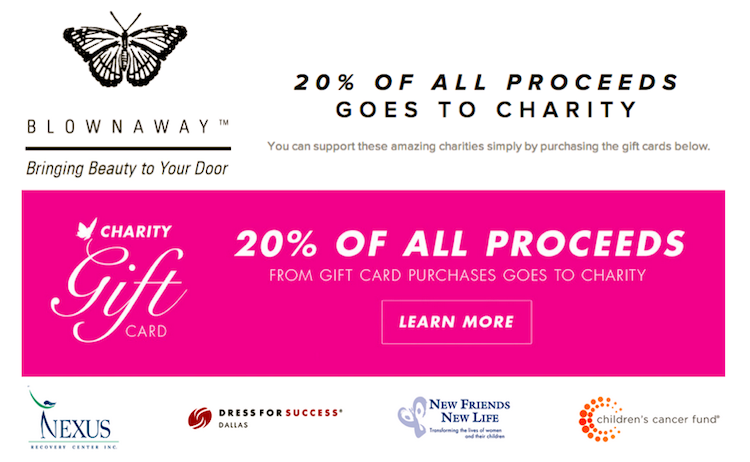 When you buy a blowout through this Sunday, 20% will go directly to the charity of your choice. Special thanks to Lisa Petty, editor of DFW Style Daily, for giving me this information.